Sarah Jeane Sibli is an angelic channel, visionary artist and graphic artist, illustrator and art director, author, spiritual counselor and healer, and spiritual teacher. She chooses to express the Sanctity of Life, in all that she creates to bring forward messages of peace and love to all beings and our world. In Europe and the U.S., after many years working in the movie industry and various companies as an art director, background artist, illustrator and graphic artist, she decided to dedicate her creative gifts to serve a higher spiritual purpose to bring forth the light and beauty of our world. Sarah Jeane has been embraced by the Light and guided by Luminous Angelic Beings into higher dimensions and realms of consciousness to receive instant healing and messages of Peace. 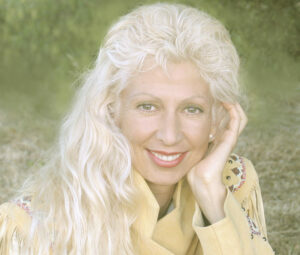 Sarah Jeane communes and works with Angelic Beings, Ascended Masters, and Nature’s Intelligence. Since her early twenties, she has been studying and practicing healing modalities, yoga, and meditation. This journey led her to discover her true purpose. Sarah Jeane has been extending her light work around the world through her beautiful artistic expression and her teachings, healing modalities, helping people to be free from painful issues and embody their Higher Self. Additionally, you may discover her decorative spiritual artistic STORES with additional galleries at: sarahjeaneartfromthelight. To inquire about any artwork or healing sessions and workshops, please contact Sarah Jeane Sibli at: sj@artfromthelight.com or you may call 310-804-3821.